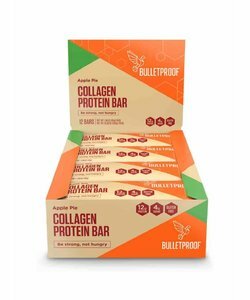 1 box of 12 Bulletproof Collagen Protein Bars Apple Pie flavour. 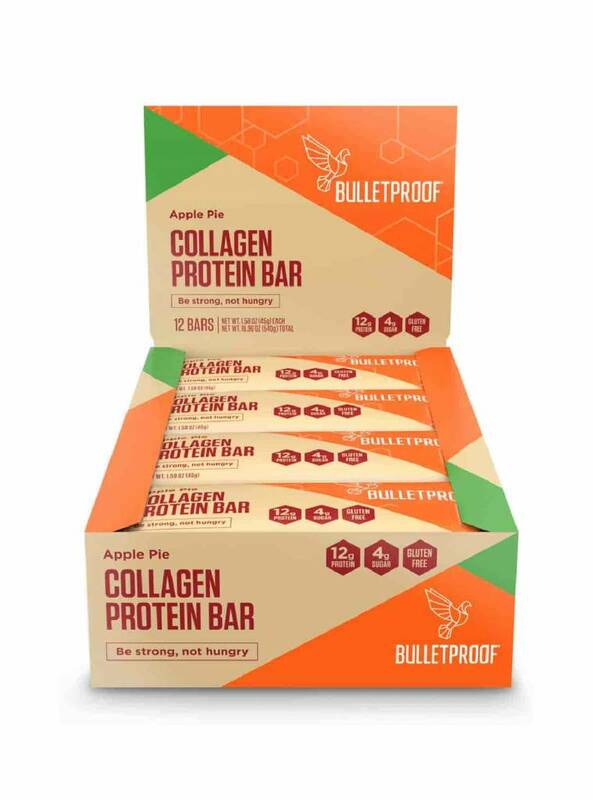 Made with Bulletproof Collagen and Brain Octane. 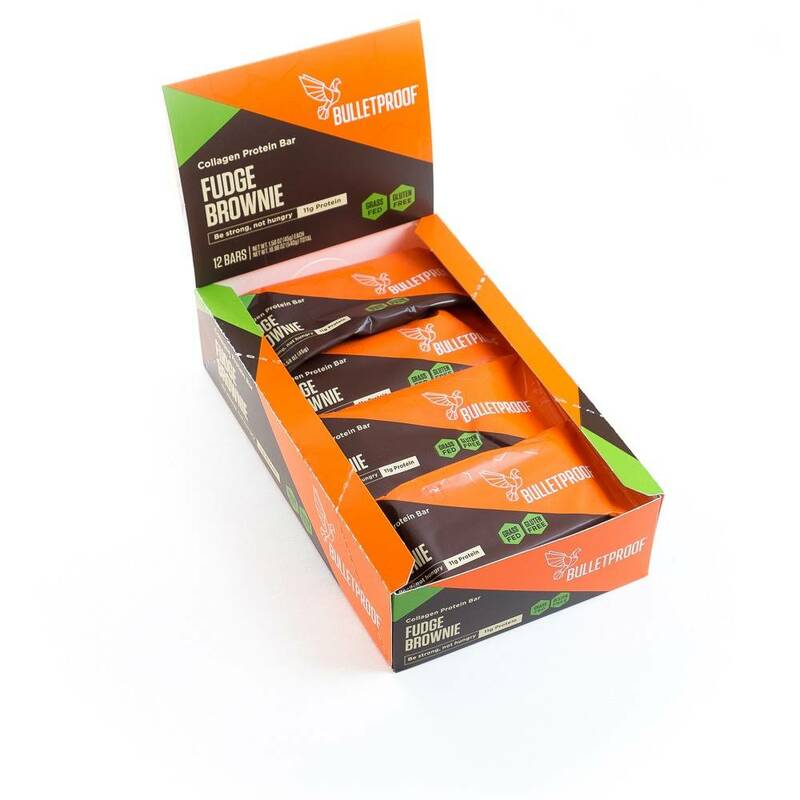 Sweet with apple bits and cinnamon. 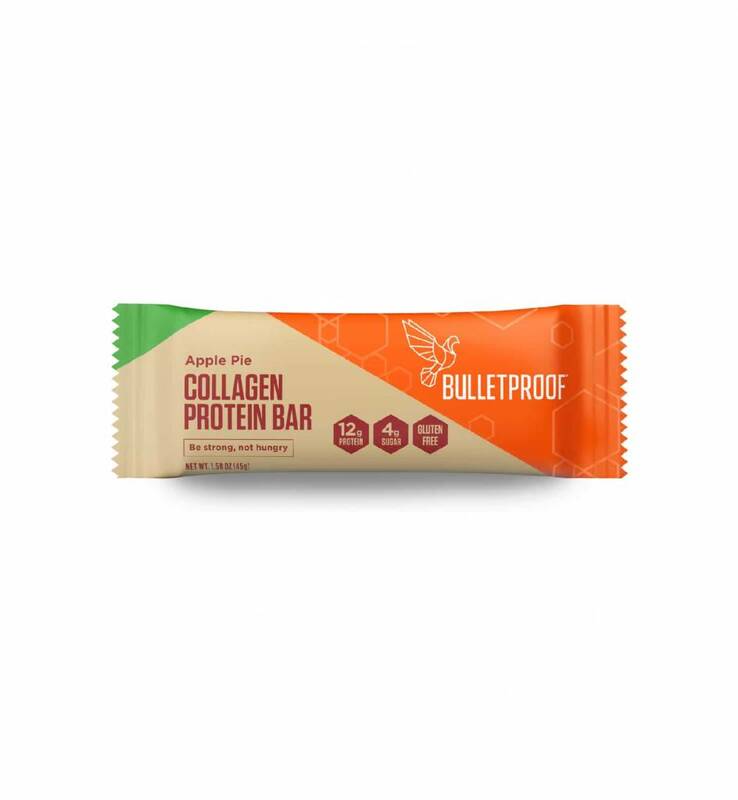 There are several Bulletproof Collagen Protein Bars flavours available. 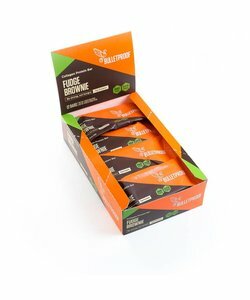 The Apple Pie variant has a sweet flavour, with bits of organic apple and a hint of cinnamon for an apple pie-like experience. 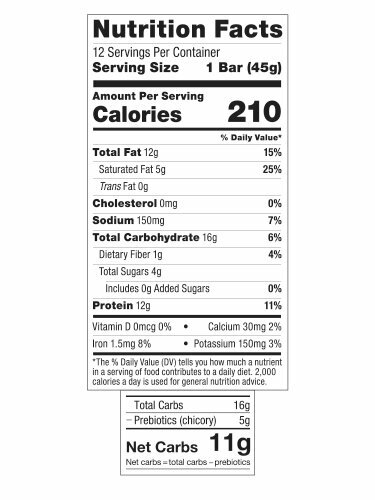 Contains no added sugars. 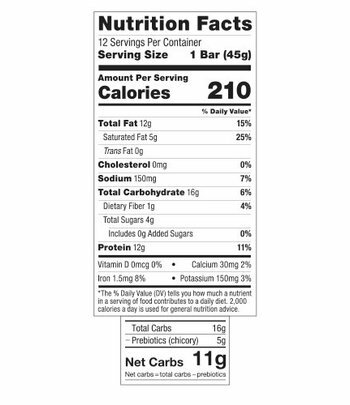 The sweetness comes just from natural sweeteners. 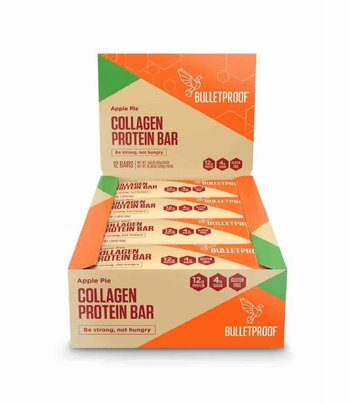 One box of Bulletproof Collagen Protein Bars Apple Pie contains 12 bars of 45 grams each. Ingredients: Organic cashew butter, grass-fed collagen protein, inulin (chicory), Bulletproof XCT oil powder (caprylic and capric acid triglycerides from highly refined coconut and/or palm kernel oil, tapioca dextrin), organic apples, organic cashews, Bulletproof Brain Octane® oil (caprylic acid triglycerides from highly refined coconut oil), organic maple extract, organic coconut oil, vanilla extract, organic cinnamon, sea salt, organic stevia leaf extract.